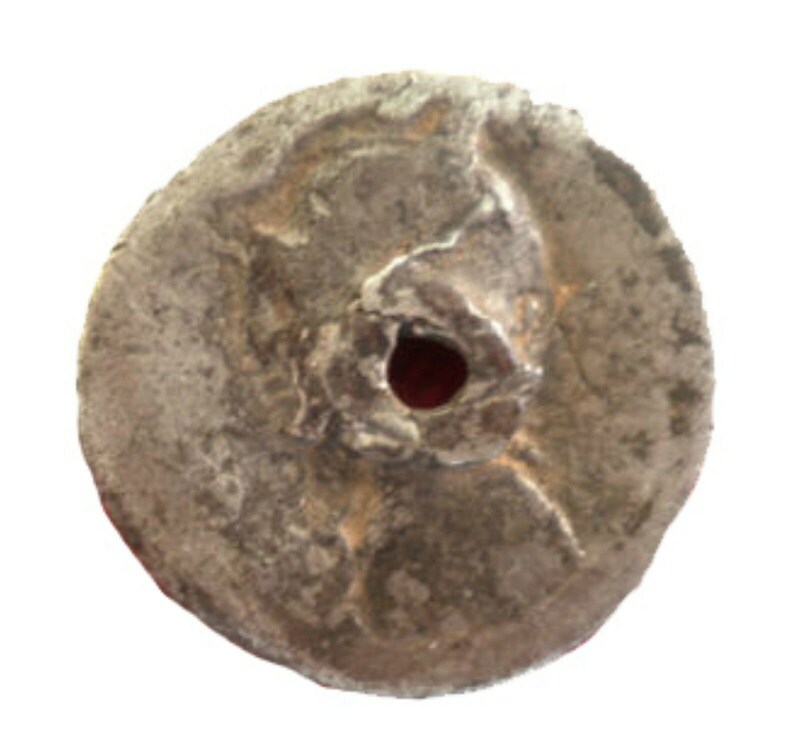 Coin up for bid is the one with hole struck in middle 1900 years ago by a citizen of Rome for one reason or another, Coin marked EXAMPLE ONLY is to give you an idea of what the same coin looks like in near mint condition and a price of about $1,400.00. 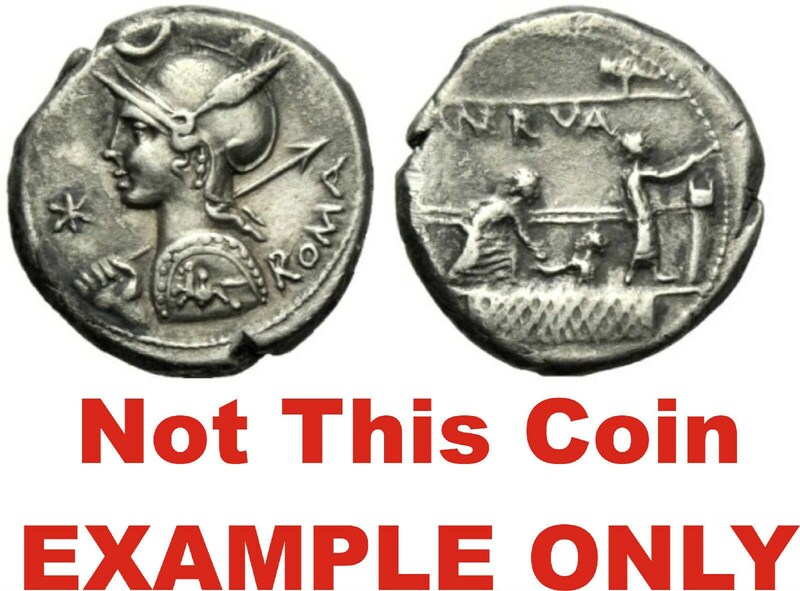 Ancient Roman Republican silver denarius struck under the moneyer, Publius Licinius Nerva in 113/112 B.C. at the Rome mint. 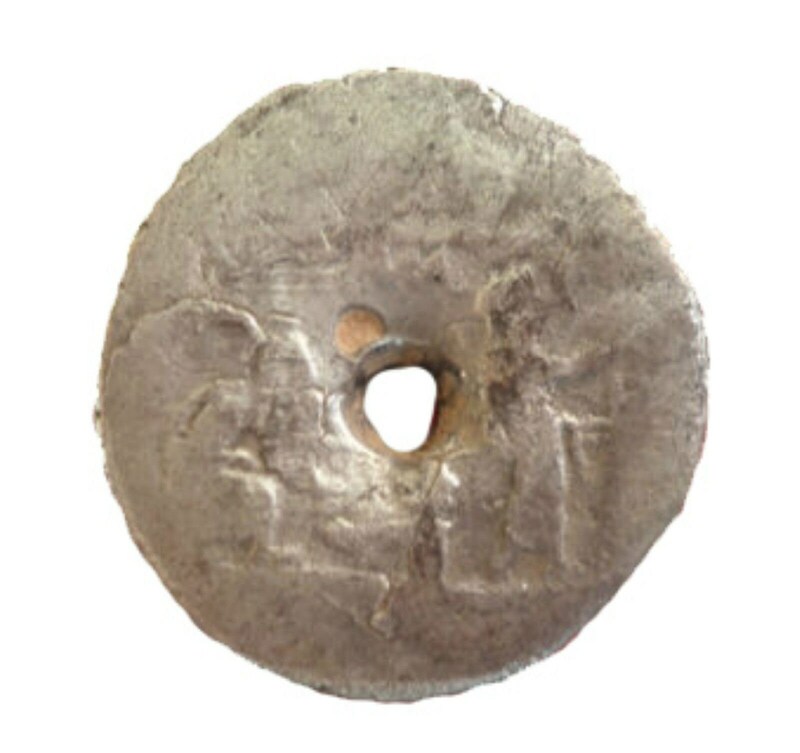 This ancient silver coin struck in 112/113 B.C. allows us to view a fascinating moment in the workings of early, Roman democracy. It is thought that the reverse scene on this desirable issue was chosen to celebrate the passing of the lex (law) maria in 119 B.C. A law which prevented candidates and their supporters from harassing voters as they crossed the narow bridges on their way to the polls.